The Bruce Peninsula has been discovered! From May to late September, tourists flock to the Bruce Peninsula National Park and the Grotto to hike, swim and relax. Tens of thousands each summer enjoy the 11km of white sand at Sauble Beach on Lake Huron. Tobermory, at the very tip of the peninsula, welcomes you with its laid-back coastal town vibe as MS Chi-Cheemaun ferry service and glass bottom boat tours of the Fathom Five National Marine Park draw visitors from the world over. This year, venture further and deeper into the Bruce Peninsula for a truly unforgettable experience. One of Southern Ontario’s last wildernesses, the Bruce offers a rare opportunity to explore our fascinating human and natural history, geology and wildlife--all within a few hours drive of Toronto, all year round. The people who live, play and work in any area you visit tend to be the richest sources of information. Connect with members of the Peninsula Bruce Trail Club for guided hikes and birding across the Bruce Peninsula throughout the year. If you’d like to set your own pace and explore on your own, you can and still reap the benefits of a local guide with a self-guided tour from Bruce Peninsula Explorer. Each of the 8 tours follows a route designed by local historian Andrew Armitage and provides historic stories, information on flora and fauna, insider tips on where to stay, dine, and explore, and more. They are available with purchase on your mobile device. Are you planning on taking the kids fishing? Curious about camping on Crown land? Be sure to look into the places you plan to visit and the activities you’d like to partake in before you go (you’ll need a fishing license, for example, and you won’t find any Crown land where camping is allowed this far south). There are no lifeguards on Bruce Peninsula beaches, so you may want to bring life jackets if you plan on swimming. This is especially true in the colder, deeper waters of the Georgian Bay side of the peninsula. Remember too that hunting is a popular sport in this region. Rifle season is the first full week of November and you’ll want to wear blaze orange clothing if you’re out hiking at that time. 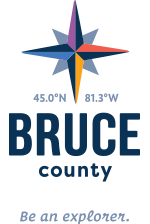 Make the most of every minute of your experience by making sure you’re prepared for the events and activities you plan to enjoy on the Bruce Peninsula. Pack out what you pack in. Reduce litter with reusable containers. Refill your water bottles at stations in Tobermory, Lion's Head, and at the National Park visitor centre. Slow down and keep a watchful eye for snakes, turtles, rabbits and other wildlife crossing our roadways. We have rare and endangered bird, animal and plant species; don’t let your dog eat them! Please keep pets leashed and pick up after them. Take only photos and leave only footprints. Don’t remove rock or other natural materials from the Bruce Peninsula. Be careful not to trespass onto private property, and stay on marked trails where they’re available. You never know what (or who!) may be underfoot. Support a worthy cause such as the Bruce Peninsula Environmental Group, whose mandate is to support the Peninsula’s unique ecology and promote a greater awareness of the diverse flora, fauna, geology, and cultural history of the region. The Bruce Peninsula Biosphere Association is another important conservancy group to check out. Amateur stargazers and astronomers alike will appreciate the Bruce Peninsula’s status as a Dark Sky Reserve. Graham Thomas of BPEG and Lion’s Head astronomer Doug Cunningham sought to raise awareness of and reduce night sky pollution by getting dark sky compliant lights installed along Highway 6 and around the Lion’s Head Marina. They achieved the Dark Sky Reserve designation in 2004 and continue to promote the dark sky preservation today. You can learn more about how light pollution affects wildlife, the impacts of artificial lighting on human health and how you can make sure your activities are dark sky compliant on the International Dark-Sky Association website. If you’re used to driving in the GTA, on major highways or in Europe, rural Ontario driving conditions may not be as familiar to you. This is one of the last unspoiled areas in Southern Ontario, complete with old-growth forests, First Nations communities and small villages, and a single highway from Wiarton at the base to Tobermory at the tip. Highway 6 is the 75+ km stretch of two-lane road that takes you up the centre of the Bruce Peninsula. There are no passing lanes, many corners and hills, and the second lane always contains oncoming traffic. The speed limit is a maximum of 80 km/hr unless otherwise posted. Beginning in 2018, Highway 6 will be aircraft-patrolled by the Ontario Provincial Police. Take your time, keep your speed in check and explore the Bruce Peninsula safely! A part of the Peninsula is Saugeen Ojibway nation. You might also visit Chippewas of Nawash Unceded First Nation at Neyaashiinigmiing Aboriginal Reserve No.27 (formerly known as Cape Croker) on the east shore of the peninsula. Bruce Peninsula Explorer’s Self-Guided Tour #4: Chippewas of Nawash Unceded First Nation contains directions to historic sites, the band office and other sites you might like to visit. You’ll also find historic stories, information about the unique flora of the region, camping and adventure activity recommendations and more. For an incredible, immersive First Nations cultural experience, plan your trip to coincide with the Neyaashiinigmiing Anishinaabekiing Annual Pow Wow. This alcohol-free, family friendly event is open to the public with a small parking and entry fee. Learn more about the Grass Dance and tribal customs, and let your heart beat with the drum! You can learn more about this event here. The rock structures and cliffs that make the Bruce Peninsula so visually stunning also present grave danger to those who ignore barriers, marked trails and warning signs. Layers of rock on the peninsula, formed from an ancient coral reef some 400 million years ago, range from durable dolostone and softer limestone to slippery shale and sandstones. Dolomite erodes more slowly than the softer stones beneath, which has resulted in the creation of beautiful (but potentially dangerous) outcroppings of rock with little support beneath. A number of government and non-profit organizations work hard year-round to make sure that signage and trail markers, barricaded areas, trail changes and more are all kept up to date. Heed all signage and stay away from cliff edges, sheer drop-offs, crevasses and closed trails. Get off the beaten path and go deeper. Plan to stay longer. See more of the Bruce Peninsula with each trip!